Van Cliburn, Renowned American Concert Pianist, Dies : The Two-Way Cliburn achieved worldwide recognition when he won the first International Tchaikovsky Competition in Moscow as a 23-year-old. What's more, he did so in 1958, at the height of the Cold War. U.S. pianist Van Cliburn in 1963. 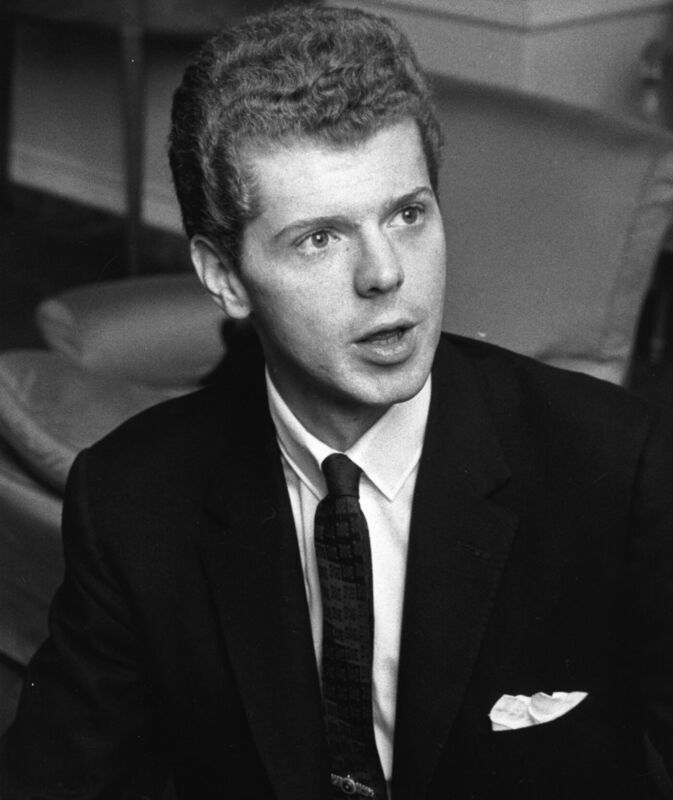 The American concert pianist Harvey Lavan "Van" Cliburn has died, according to the Associated Press, who is quoting a representative. Cliburn achieved worldwide recognition when he won the first International Tchaikovsky Competition in Moscow as a 23-year-old. What's more he did so in 1958, at the height of the Cold War. The Dallas Morning News reports that Cliburn died in his mansion in Fort Worth, Texas. He had been diagnosed with bone cancer. As Ted Libbey wrote for NPR's Classical 50, Cliburn's performance at the competition immediately made him "one of the great interpreters of" Piano Concerto No. 1. "The account is played from the heart, with a spellbinding virtuosity that seems almost effortless — a reminder that the concerto is genuine music, after all, not some merely flashy showpiece of fast octaves. Cliburn's playing has so much poise, and in the lyrical moments he brings such shape and expressiveness to the phrasing of the music. Also, the beautiful voicing of chords in the opening passage is achieved with such naturalness, and with a complete lack of bombast; it's no mere technical exercise for him, this is music that really means something." Since then, Cliburn's name has been linked to the Cliburn Competition, one of the premiere piano competitions in the world. According to All Music Guide's biography, Cliburn was a piano virtuoso from a young age. He was born in Shreveport, La. in 1934 and "gave his first recital at 4, played with the Houston Symphony at 13, and at 14 was heard in Carnegie Hall. Appearances, prizes, and awards followed in a regular spate without amounting to public recognition or a genuine career." And then at 23, the Tchaikovsky Competition changed his life. Remember, relations between the U.S. and Russia were intensely sour and Cliburn was competing against Russians, playing music from a Russian master. As Sara Fishko recounted for us in 2008, Cliburn's prodigious piano so impressed the judges, they went to Premier Nikita Khrushchev to ask his permission to award an American the prize. "Is he the best?" Khrushchev asked. The judges said yes. "Then give him the prize," Khrushchev said. Cliburn came back home to a nation in awe. He arrived in New York City to a ticker tape parade and a declaration by the mayor. NPR's classical music blog, Deceptive Cadence, will have more on Cliburn a little later. Below, we've embedded a version of Piano Concerto No. 1 Van Cliburn recorded in Carnegie Hall, weeks after he won the competition.